As we look toward both the National Day of the Child, November 20, 2013 and the annual International Day of Persons with Disabilities, December 3, 2013, one tends to reflect on the changes, or lack thereof, that have occurred in Canadian Communities since Canada agreed to sign the UN Convention on the Rights of the Child in 1989. This Convention was the first international human rights treaty to include explicit focus on disability. When Canada signed the Convention on the Rights of Persons with Disabilities in 2009, it was thought that a stronger commitment to ensure that children with disabilities to enjoy all human rights and fundamental freedoms on an equal basis with other children would be the foundation of future educational and health policies, funding programs, individual services and supports and protection services for children, to name a few. Despite advances in legislation, policies and services, the rights of children with disabilities are still not being fully realized and the realization of the importance of the early years as a foundation to successful, healthy and fulfilling futures for all children is still not considered the foundation for living a healthy and productive life as an adult. 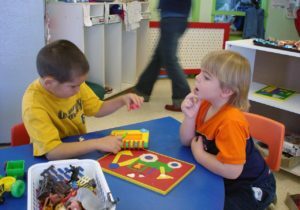 Despite the lack of legislated entitlement, Canadian early learning and child care programs are including more children with disabilities. There are snippets of innovative programs in every province. The quality and quantity of inclusion has increased significantly and children with “tougher challenges” are now being enrolled everywhere. At the same time, we are still hearing of children who are excluded from programs; of a parent who must quit work or school to stay home with their child because a program does not have inclusive policies and inclusive training to practice strategies that will continue to include all children. We are still hearing of centres that do not have an “all are welcome” policy and still discriminate against children of varying abilities. We are still working within policies that limit the inclusion of children with disabilities in ways that prevent them from achieving a level of success that will provide them with independent living in their future and separate them from their peers economically and socially. We still live in a country in which every day we “duck tougher challenges” when it comes to the full inclusion and equality of children with disabilities. Many services still rest on the hope of discretionary funds rather than mandated funding and are vulnerable to change each time a government changes. This evidence of continuing discrimination against children and thus, their families, tends to impact all of us and pressures us to question our societal values and goals. It causes us to reflect on not only what commitments we have made to children with disabilities, but the work yet to be done to ensure continuing Canadian commitments. Children in early learning and child care usually fall into the age range of 6 months to 12 years. Currently in Canada there are 200,000 children with disabilities under the age of 15. Changes in our economic structure and the roles of families have made early childhood education a fundamental element in our society. 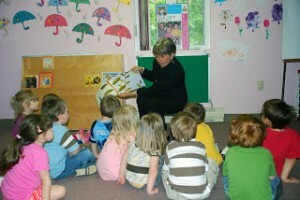 The number of preschool and after-school children being cared for in early learning and childcare, who are either assessed with a specific developmental challenge, or whose challenges lead educators and families to seek additional support has climbed dramatically, and yet, in some Canadian communities, there is still failure to recognize the importance of prior to school environments as the foundation years in life long learning. In Early Learning and Child Care, educators are beginning to recognize that strengths and challenges for all children exist on a more continuous spectrum than once believed and that only through acknowledging the support and intervention for children prior to school can we hope to give children an equitable “playing field” in school. 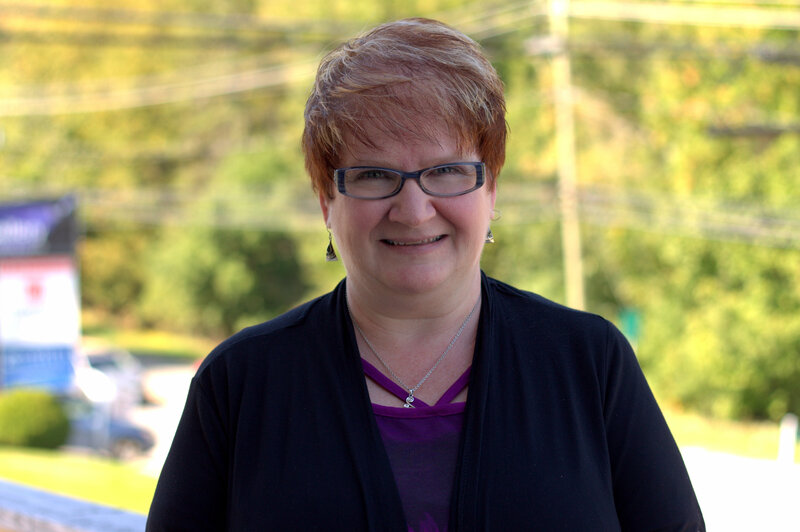 The cost of intervention and support in the early years is many times viewed as a “high cost ticket,” however the cost to our health system; mental health system; justice system and to educational remediation is much higher. A commitment to inclusion in the early years fosters a creative, problem solving approach to teaching and offers a model of teaching as a lifetime adventure of personal growth. Challenges are viewed as a source of connection rather than division. Inclusion in the early years can bring a community together and provides benefits for all. We can learn a great deal from very young children on how to do this well as they develop “caring and sharing” habits; as they make friends and become friends to others; as they negotiate within a group where everyone has a “voice”; as they take turns in expressing their views using their own communication style; as they learn about kindness, respect, and yes, even what dignity means. In the early years, children learn to stand up for the person beside them and to help them up when they stumble. In quality inclusive early learning and child care programs, children learn to include naturally – it is a way of being throughout their day. The zest of life-long learning and its patterns of inclusion are established in Early Childhood Education programs, prior to school classrooms, and in outdoor environments. Research tells us that children who are included in their early years have better outcomes for inclusion as adults – they are more likely to continue in education, graduate from high school; attend post- secondary education; get a paid job with remuneration above the ‘poverty line’; volunteer in their communities; be valued in their community; and value their community. It is no secret that early childhood education has been undervalued in our society. However, the growing incidence of children with assessed disabilities and additional needs is not just an education issue. It is one of the major public health concerns of our time. Therefore the amount of energy, time, and resources our society at large devotes to early childhood education should be viewed as being most important. 1. Bridge the divide between education and early childhood development in order that Early Learning and Child Care and other prior to school programs are seen as a foundation to inclusive education in every province. 2. Develop collaborative approaches in both education and health, with disability groups, to ensure non-discrimination in accessing quality health & education supports and services. 3. Design interventions for children that reinforce positive development across their life cycle and across a range of well-being outcomes. 4. Rigorously evaluate policies and programs for children to see whether they enhance the overall well-being and positive development of children. 5. Create programs that support family needs throughout the life span of their children so as to decrease “gaps” in what families require for their children. 6. Continue to bring awareness in local, provincial and federal jurisdictions – all communities- about quality inclusive, affordable, accessible Early Learning and Child Care. 7. Form networks and partnerships with community partners to discuss and implement events for action that ensure non-discrimination in the early years that will move forward action for change in inclusive education systems within schools. 8. Value all children and invest in their futures.